Winters are there and we see a lot of bell peppers in the market. Keto diet is the most common and effective weight loss diet so through this post we aim to provide nutritional information of bell peppers. Bell peppers also known as capsicum in India are native to Central America and Mexico. Green bell peppers are picked before they are fully ripe. If they are left on the plant to mature, green bell peppers generally turn red. They are mildly bitter in taste as compared to the red, yellow and orange ones. The red bell peppers are a rich source of carotenoid phytonutrients. They contain about eleven times more beta-carotene than green bell peppers. They also have one and a half times more vitamin C than the green one. They have a sweet, juicy and fruity taste. Fresh raw bell peppers are used as vegetables in cuisines all over the world. They are enjoyed as salads or cooked in stir-fries. Bell peppers give a delicious twist to food flavour. In India they are mixed with other vegetables like potato, carrots, green beans etc., along with tomato and other spices to make several mouth-watering stir-fries. Red and yellow peppers if used with culinary imagination can taste exotic with a combination of cheese, meats, dried fruits, nuts. It must be cooked slightly so that the nutrients are not lost due to the heat. Bell peppers are also added after being lightly grilled in various sauces, cheese, and olive oil based dips. Most of the world cuisines use bell peppers in stir fries, pasta and noodles. Bell peppers are low calorie vegetables and valuable sources of health-supportive sulphur compounds. It has certain enzymes that provide anti-cancer benefits. According to research bell peppers can reduce the risk of oesophageal and gastric cancers also. The bell peppers are low in fat content. There is just 1 gram of total fat in one cup of bell pepper. But the fat is sufficient to store the fat soluble vitamin E and carotenoids present in it. The carotenoids in bell peppers have antioxidant and anti-inflammatory benefits for the body. A ripened red bell pepper has more vitamin C and carotenoids in it. We all know that Vitamin C is an excellent antioxidant. It has also been known to reduce triglycerides and LDL cholesterol levels in obese people. The red bell pepper also has a remarkable amount of vitamin A. Not only that, Bell pepper has sufficient levels of essential minerals like iron, copper, manganese, magnesium, zinc, potassium and selenium. It is also rich in the B vitamins. 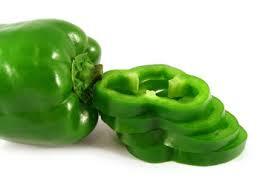 Green bell pepper has just 20 calories whereas red bell pepper has 31. The net carbs content of red bell pepper is 3.93 g i.e. approx 4 g per 100 g serving. 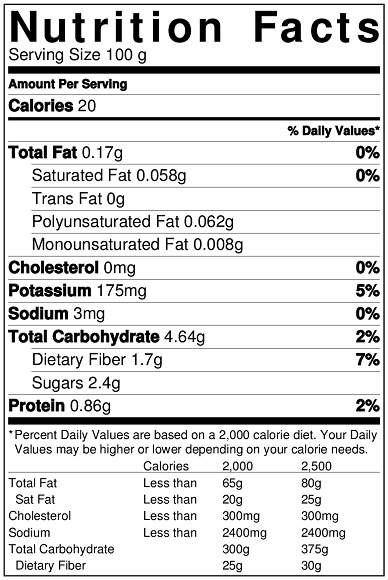 Green bell pepper has around 3 g of net carbs. Both have nil cholesterol. Red bell pepper has a higher content of potassium than green bell pepper. Protein content is more in red capsicum. Seeing nutrition facts Of bell peppers, surely it is a great low carb food while on a Keto diet for weight loss. 52 years old, writer, painter, educationist, health coach and freelance, ever willing to do something new on a daily basis turned into a fitness freak from being a couch potato, repacked her free soul from 98 kg to 67 kg frame and fell in love with life all over again at the age of 45.